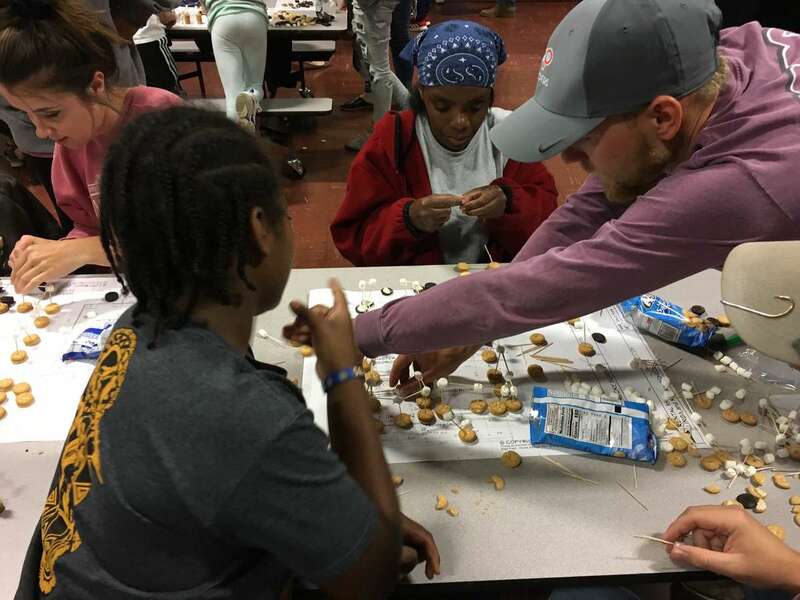 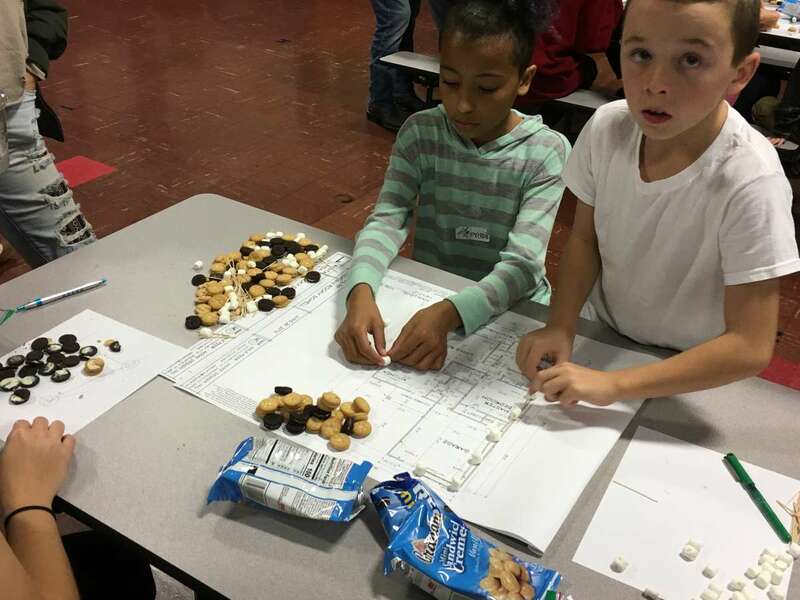 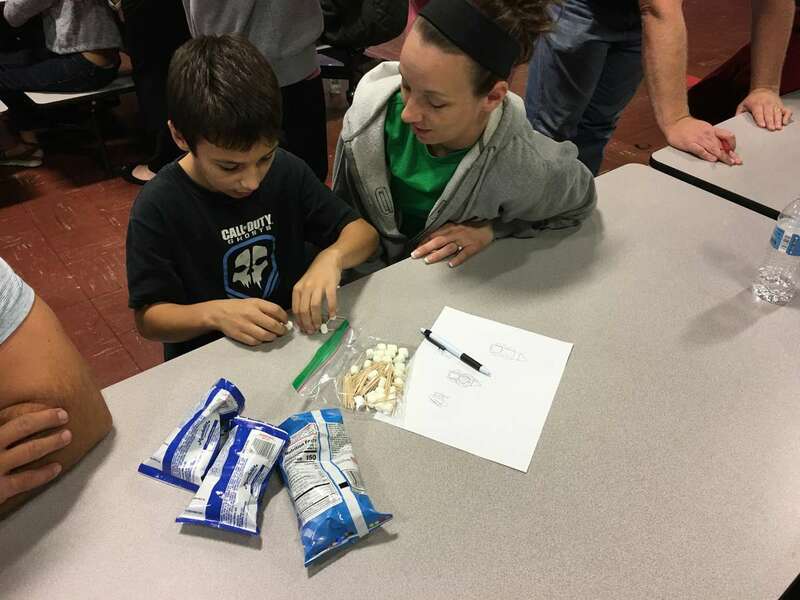 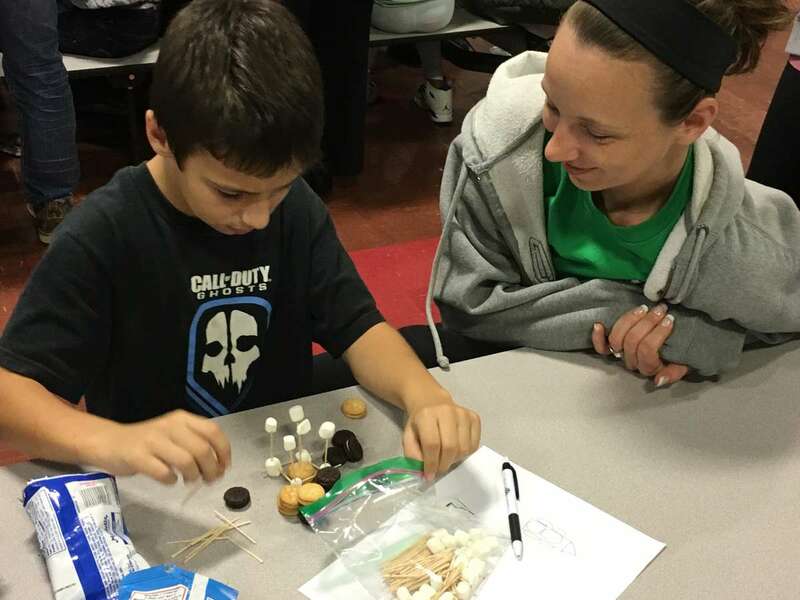 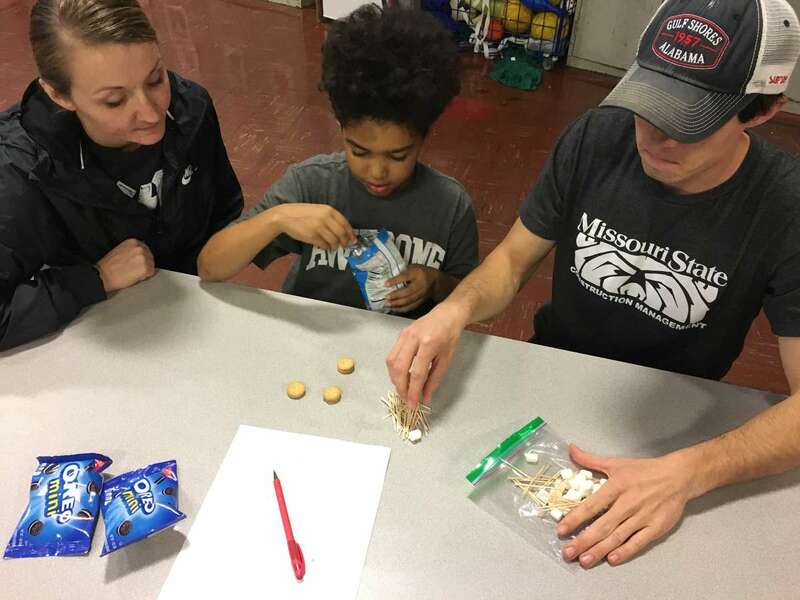 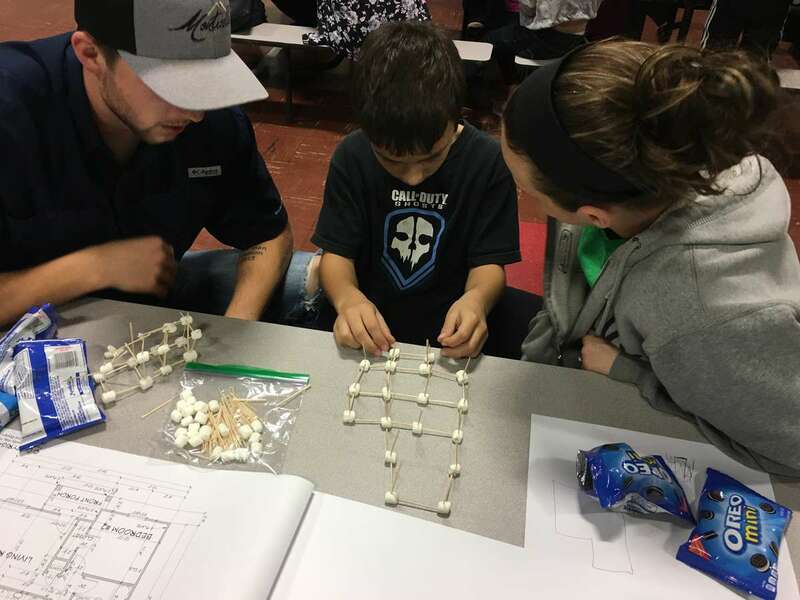 BE CONSTRUCTIVE Workforce Development – First Night at Holland Elementary – Success! 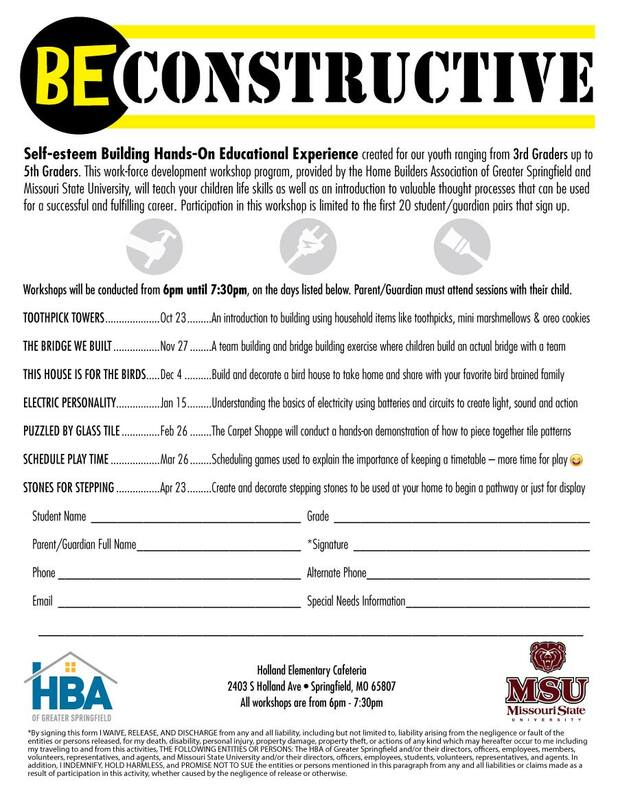 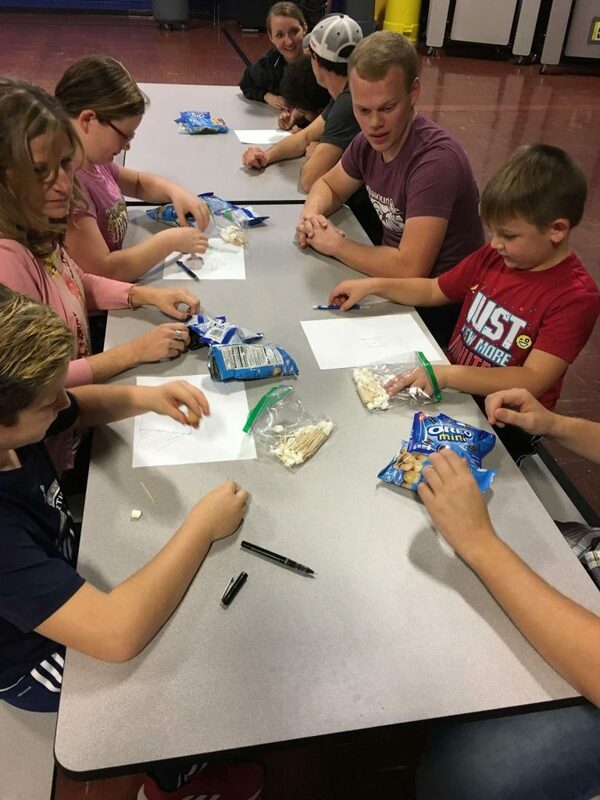 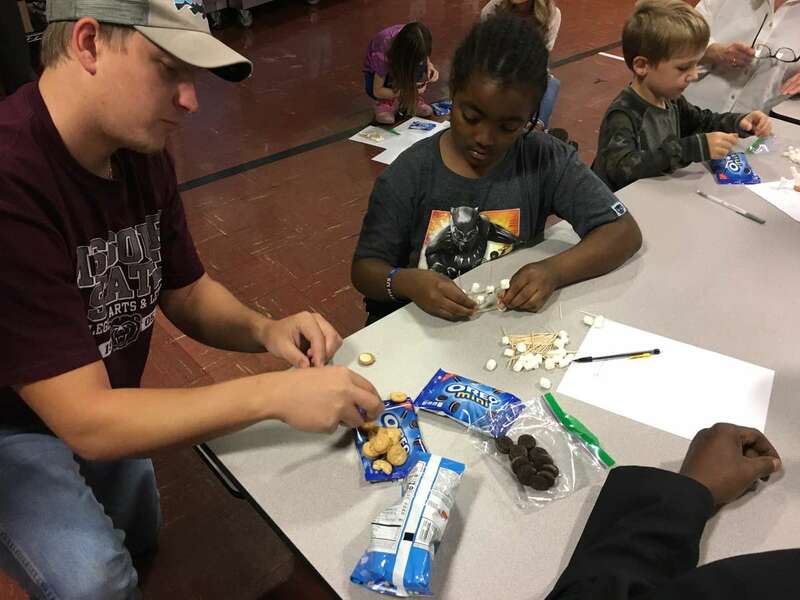 October 23rd was the very first HBA/MSU “Be Constructive” night at Holland Elementary! 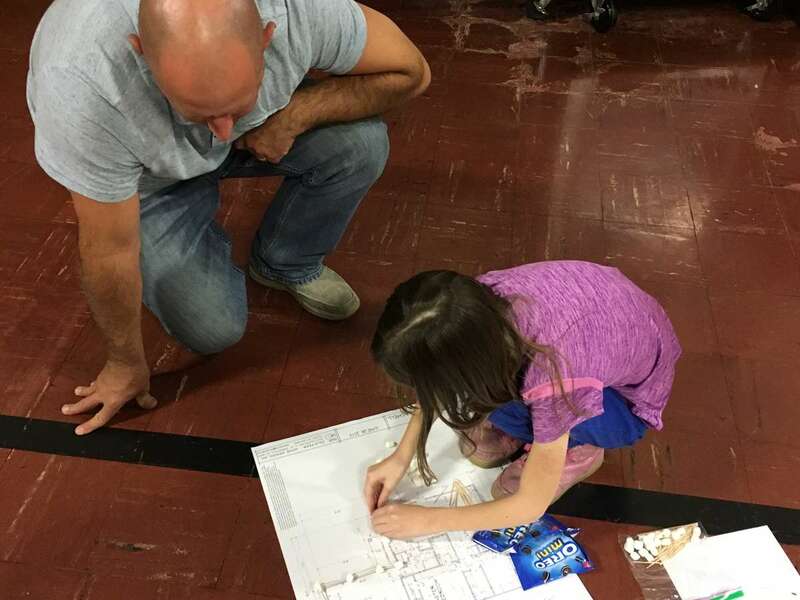 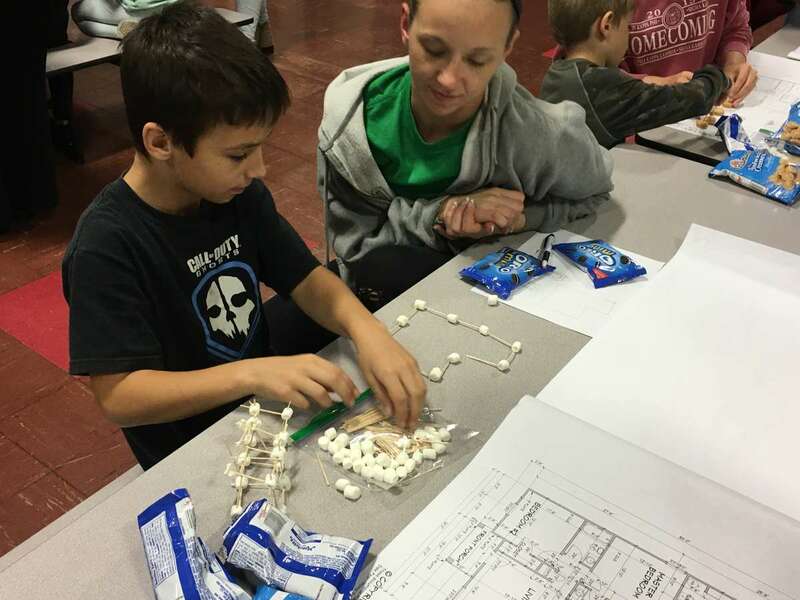 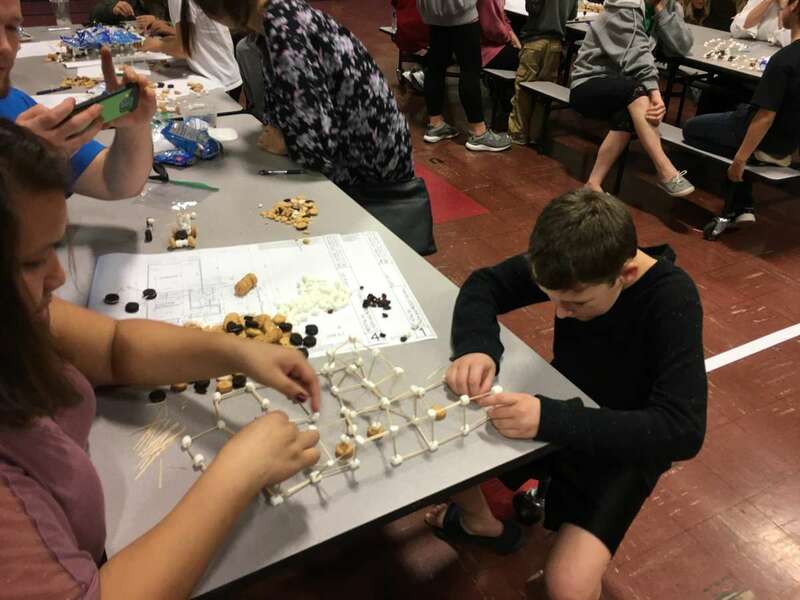 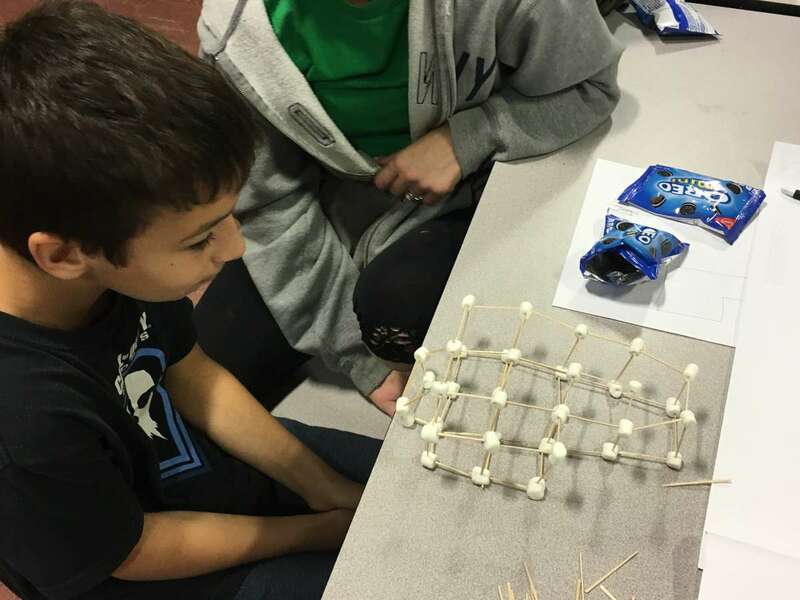 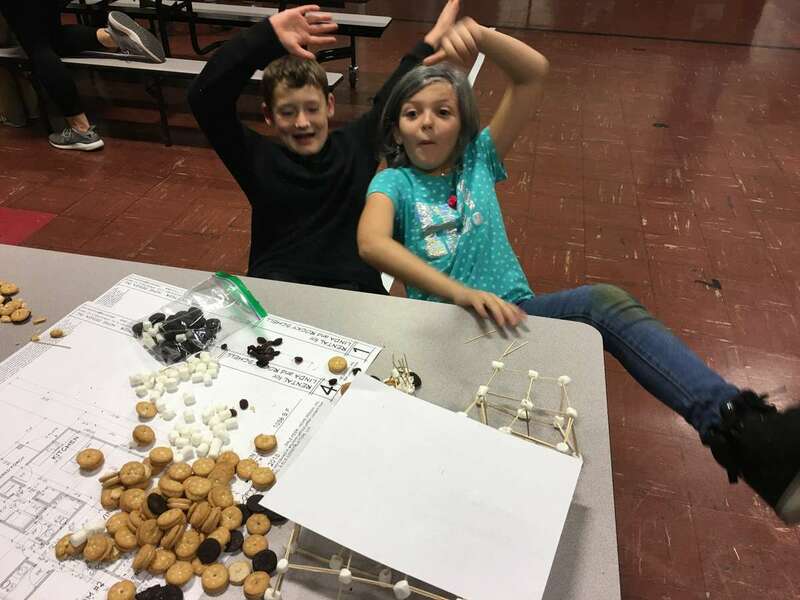 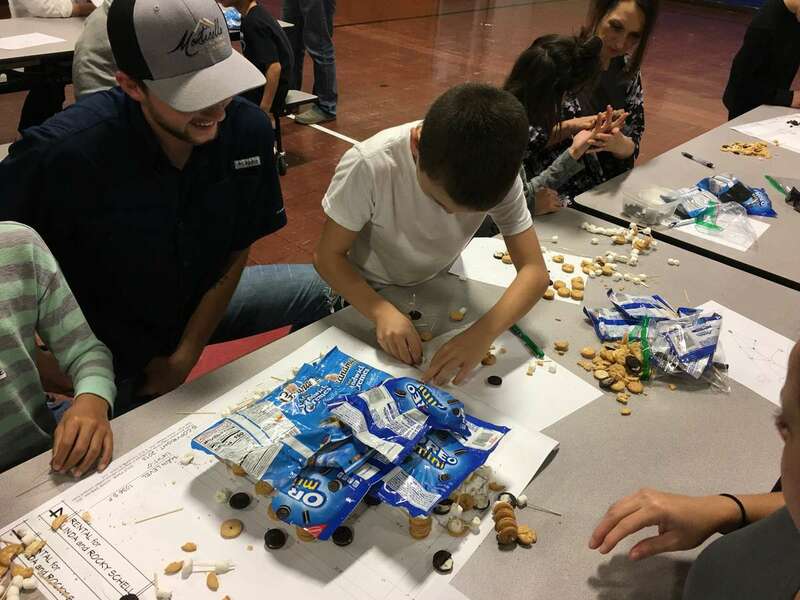 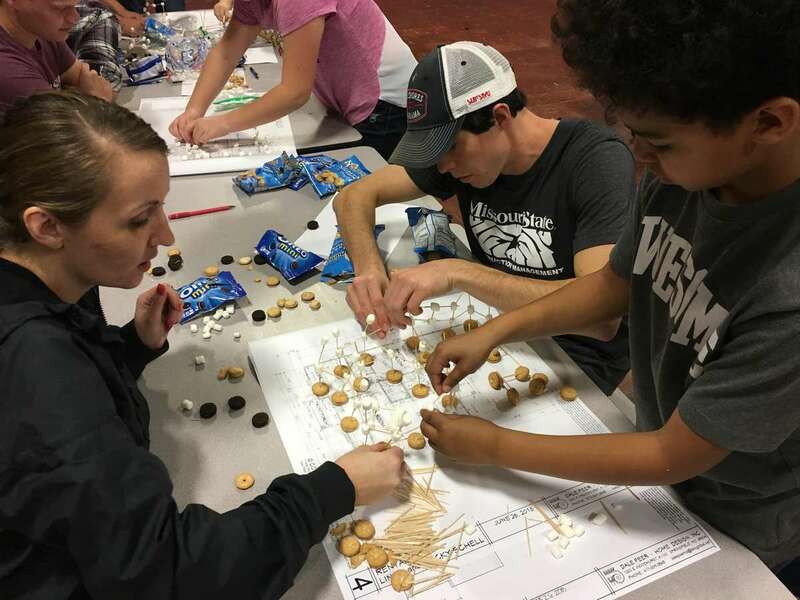 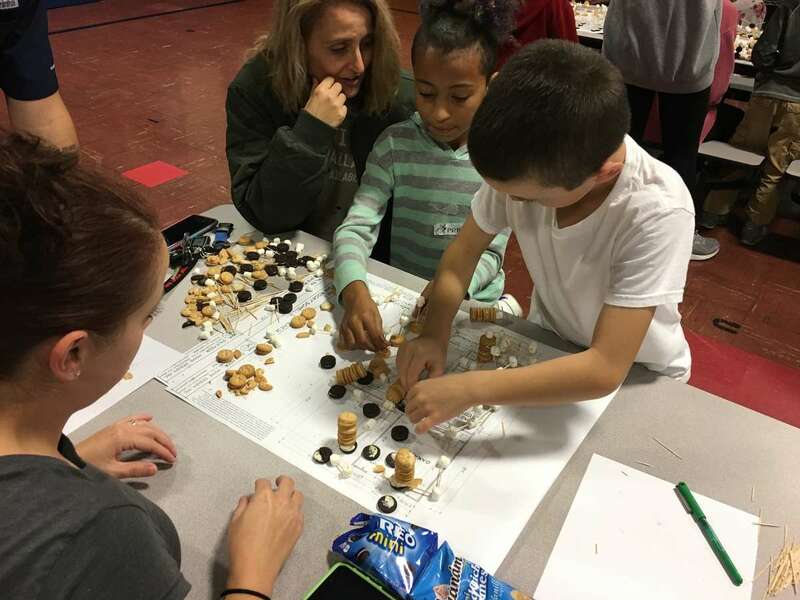 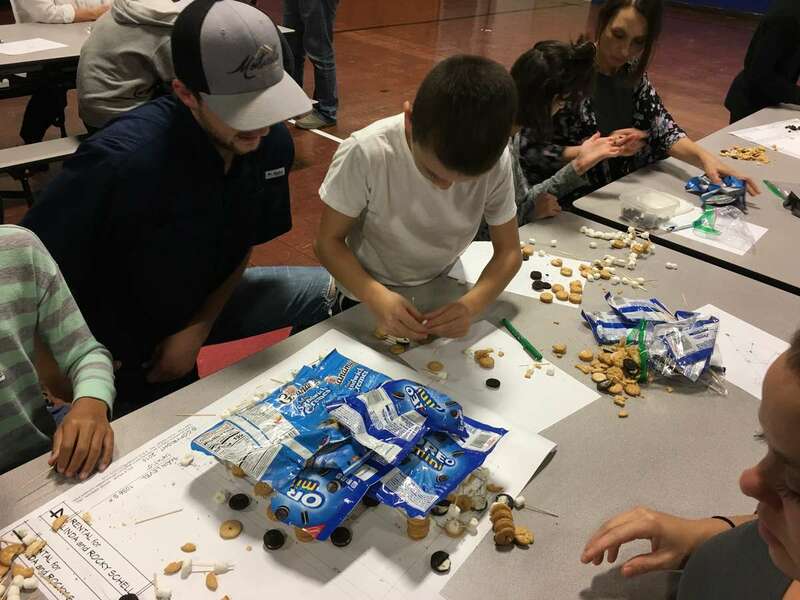 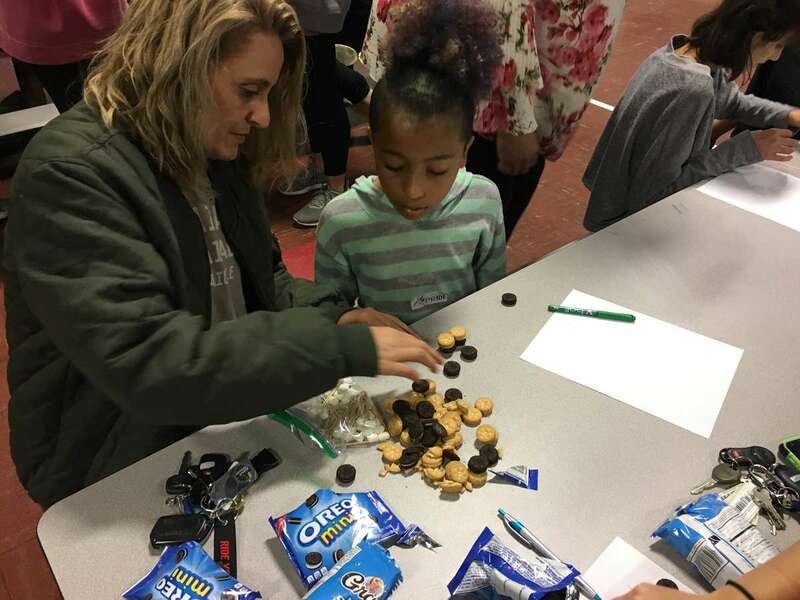 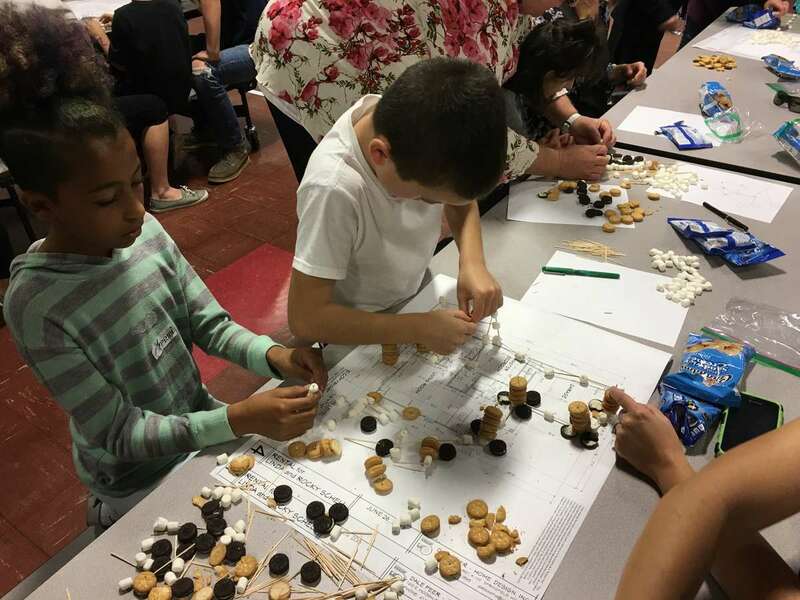 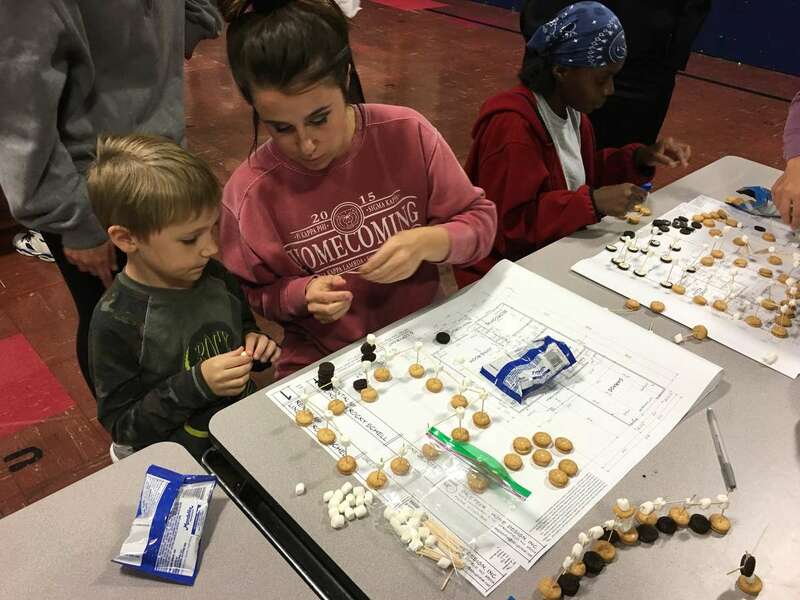 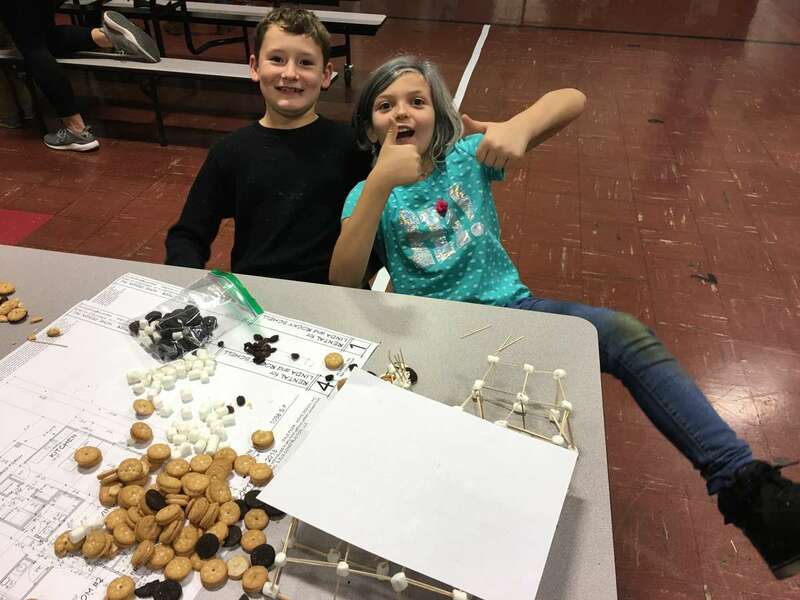 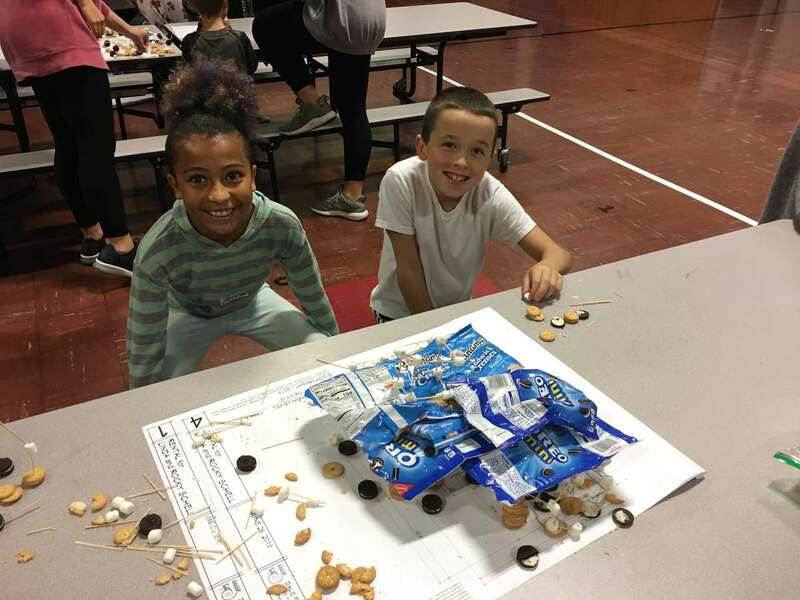 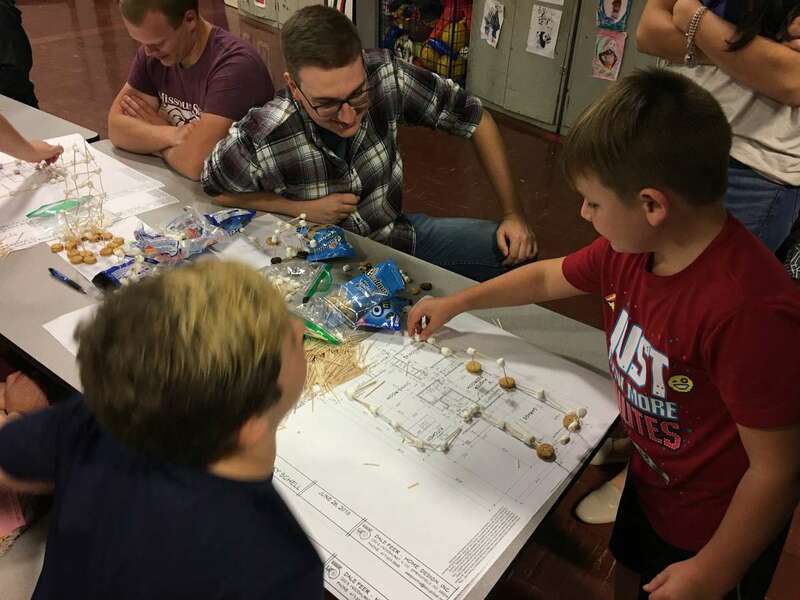 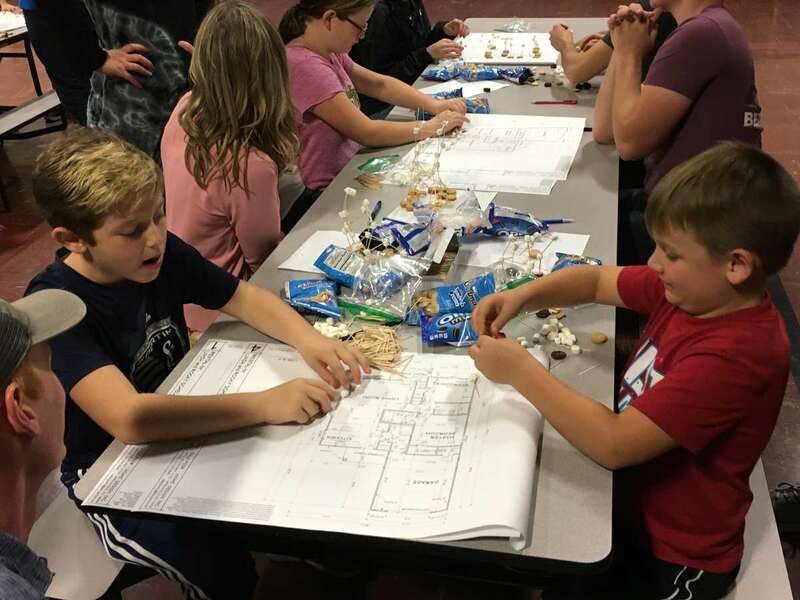 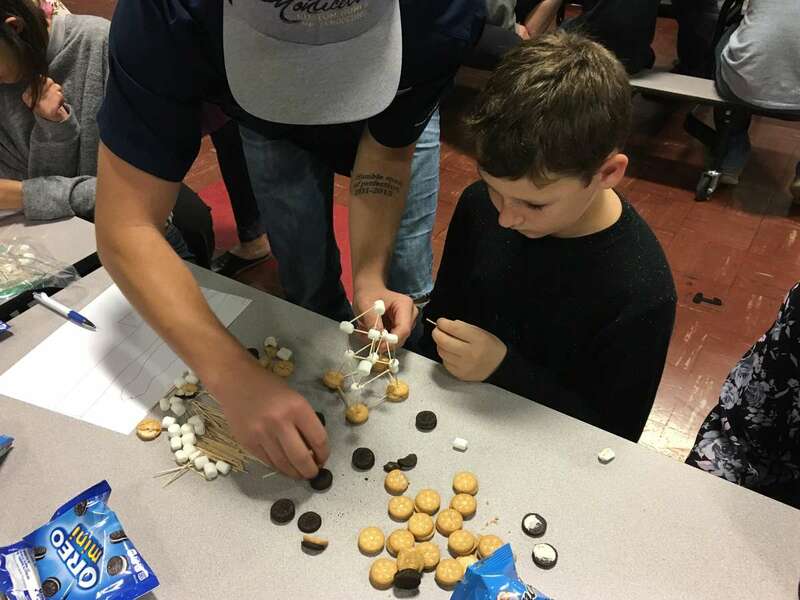 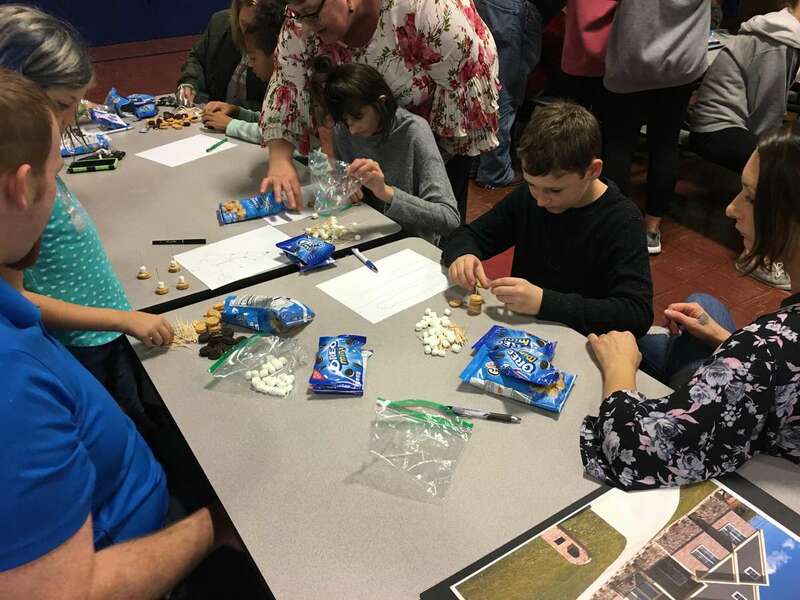 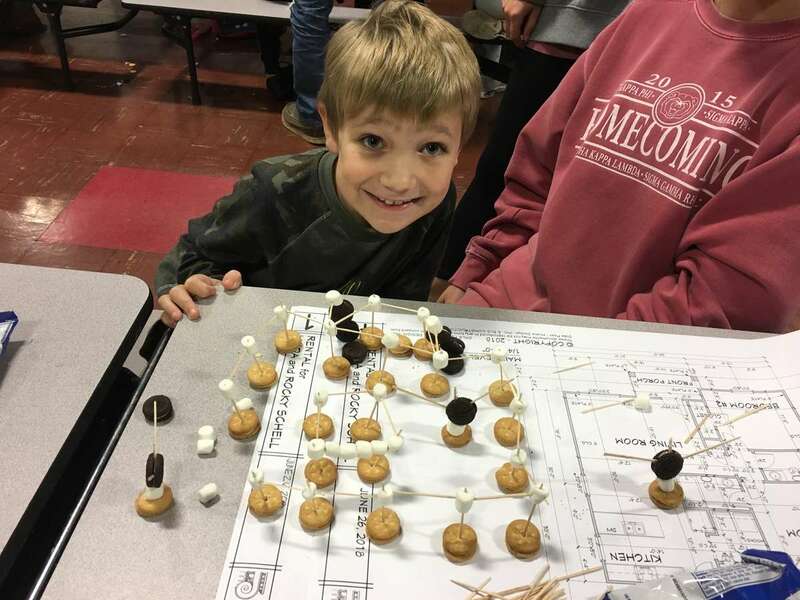 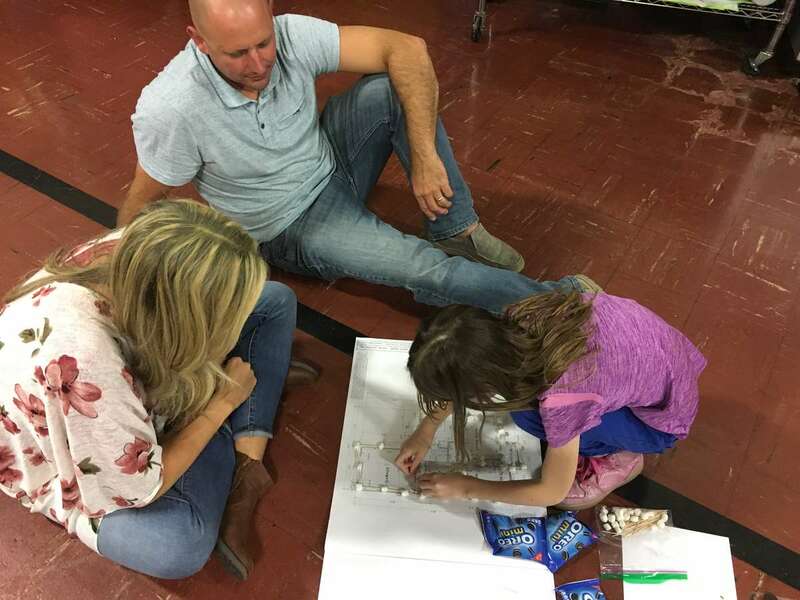 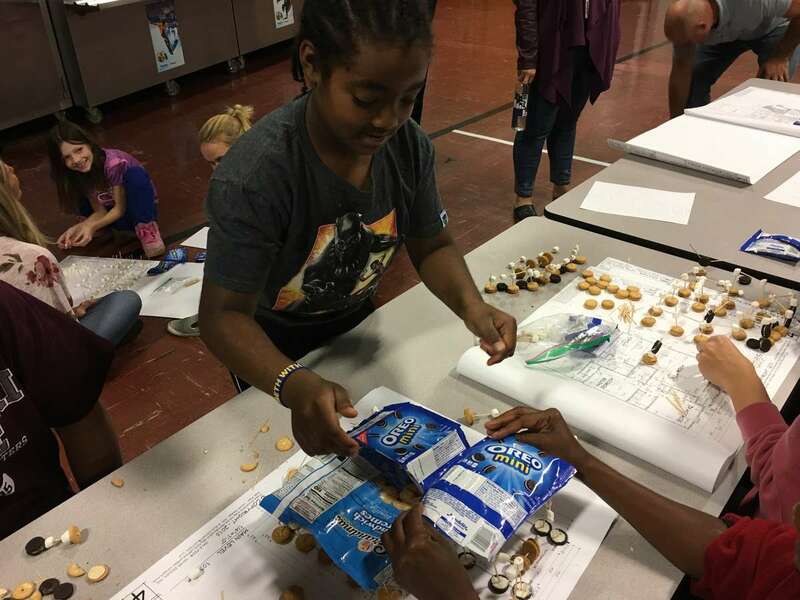 HBA members and MSU construction/interior design students joined forces to educate 3rd-5th graders about the construction industry (See Photos Below). 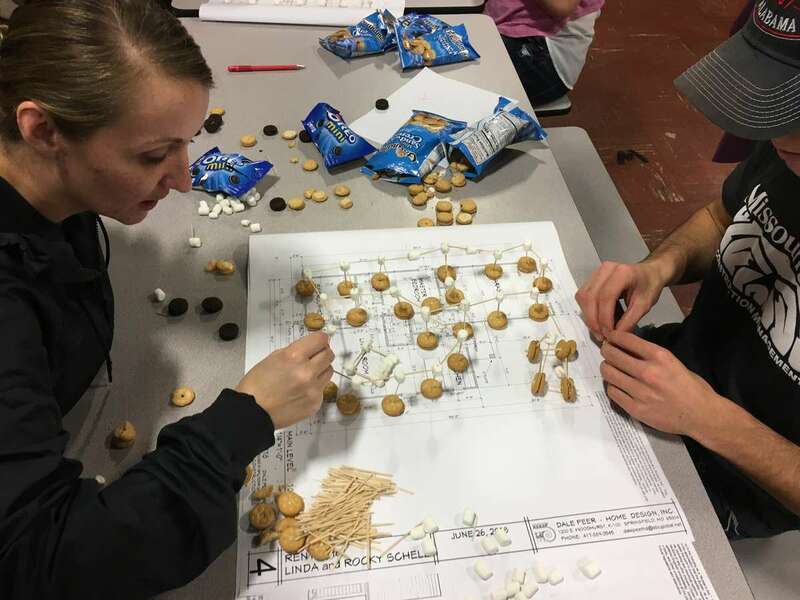 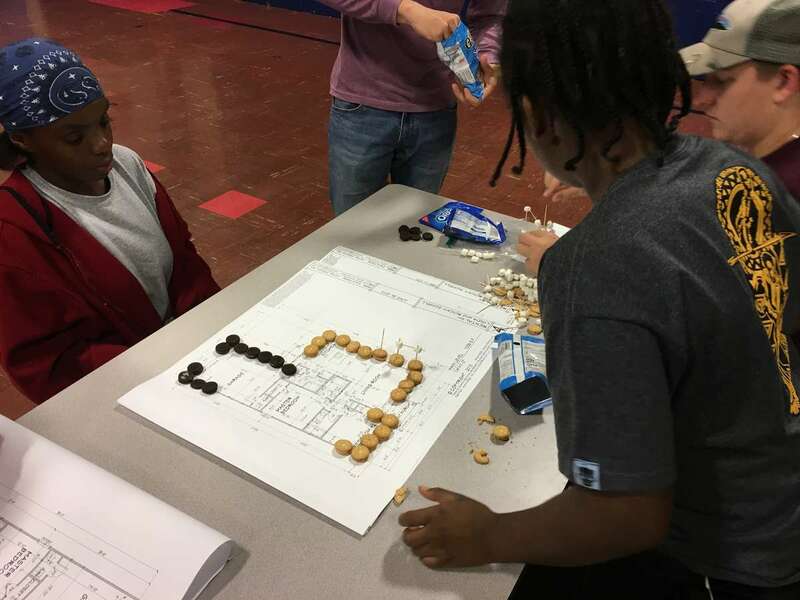 We focused on how an architect creates floor plans, how architects and builders work together and the initial phases of construction. 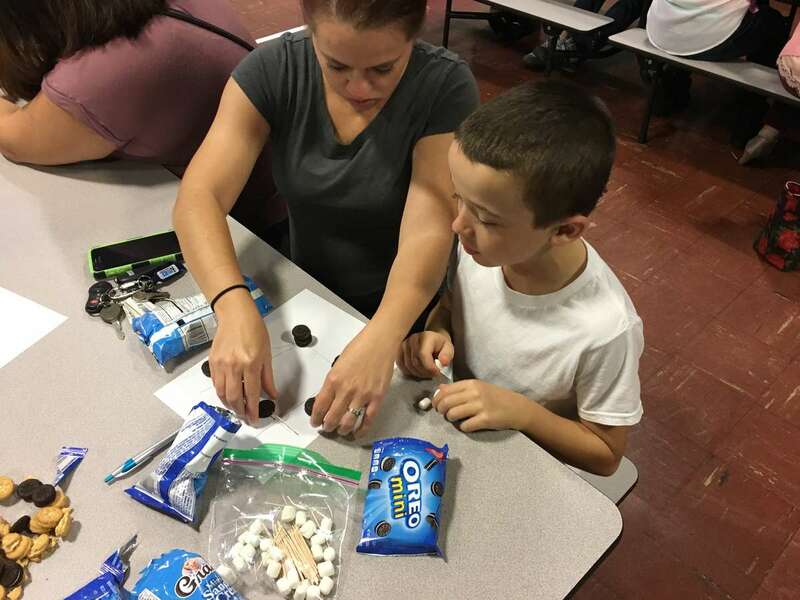 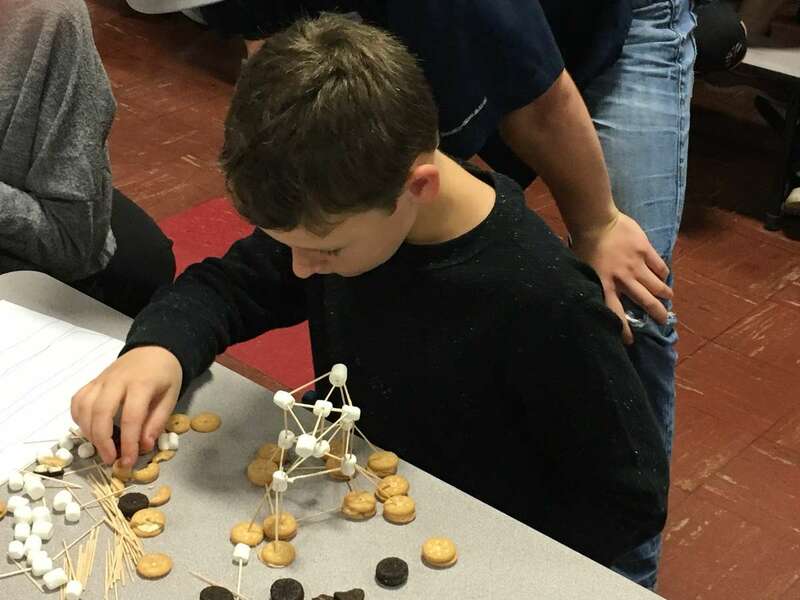 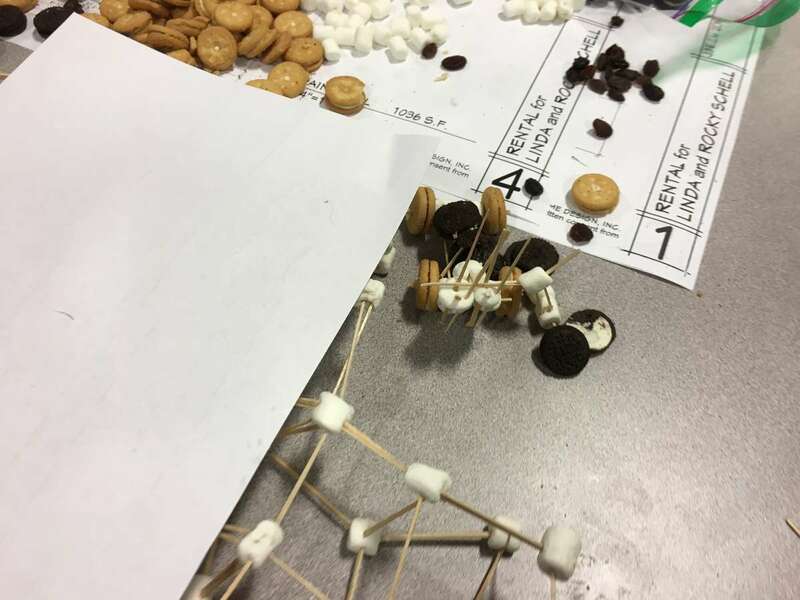 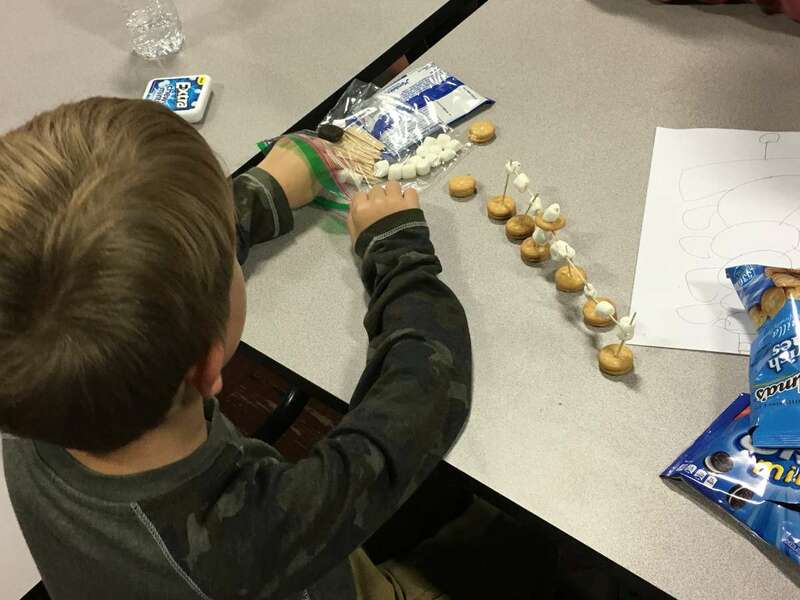 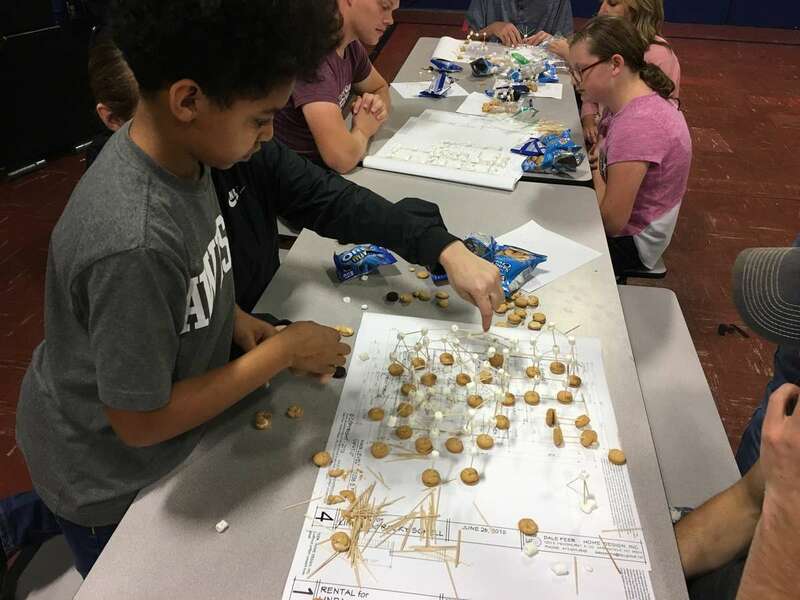 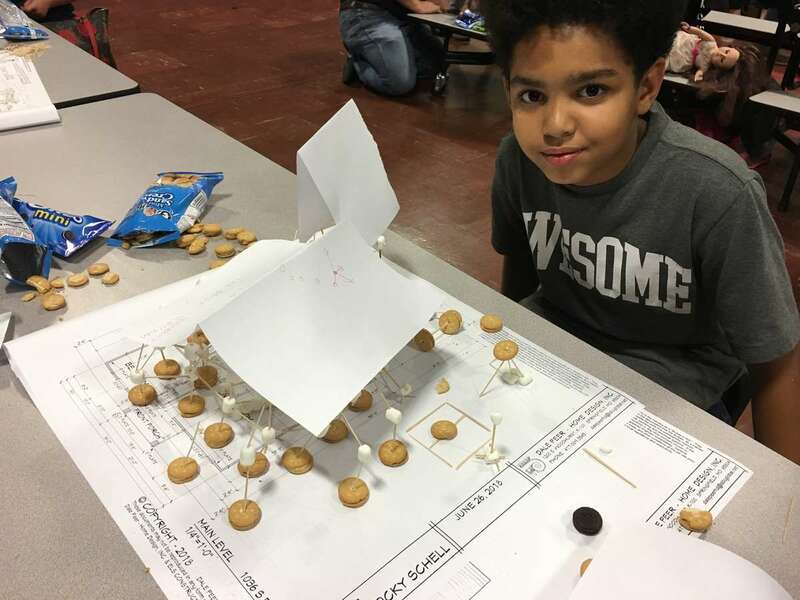 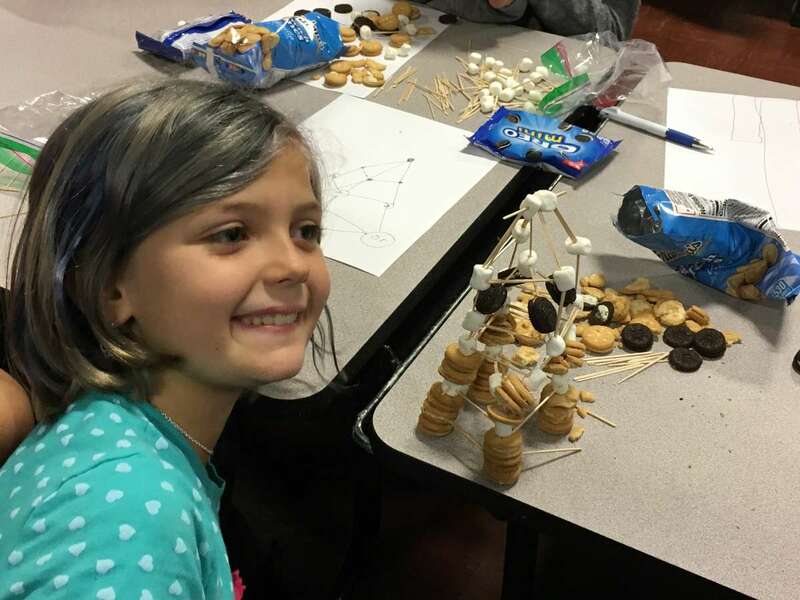 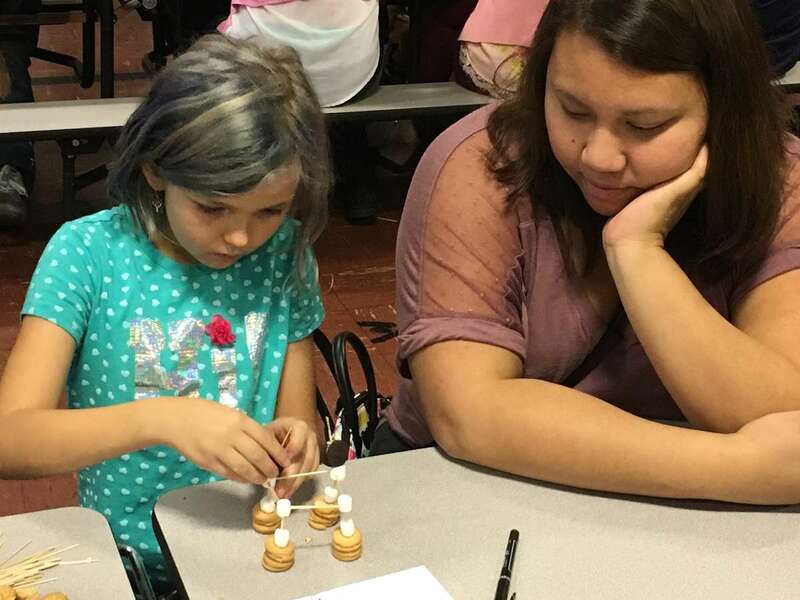 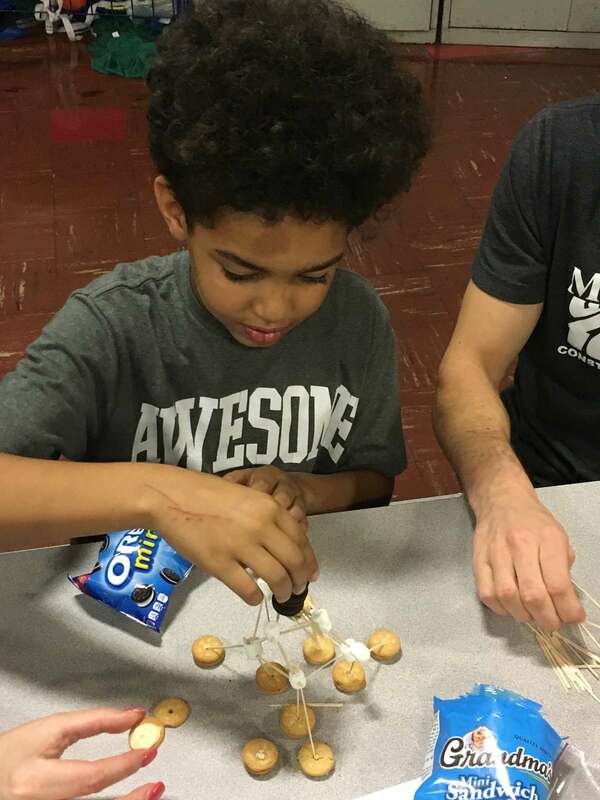 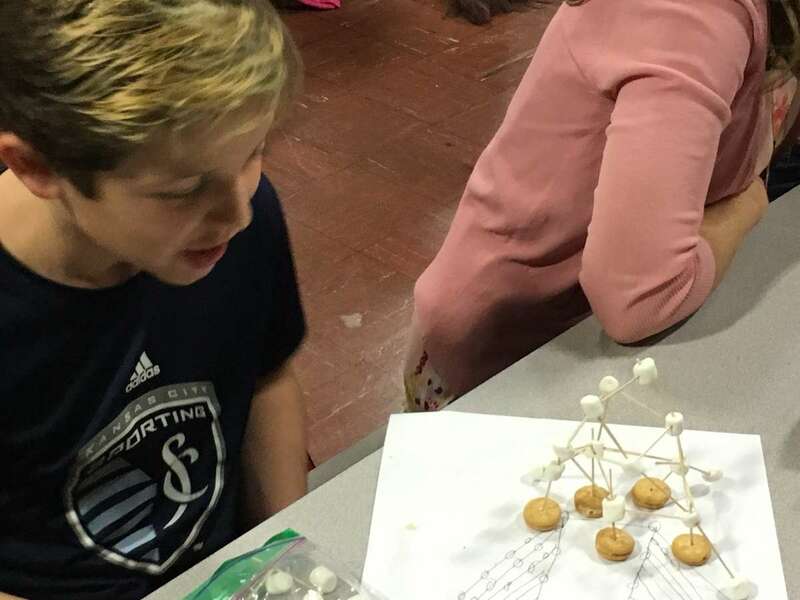 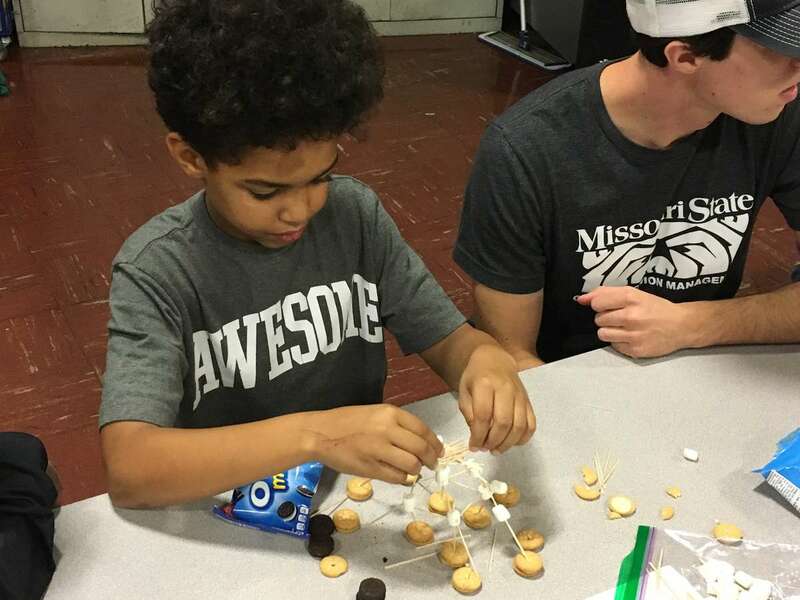 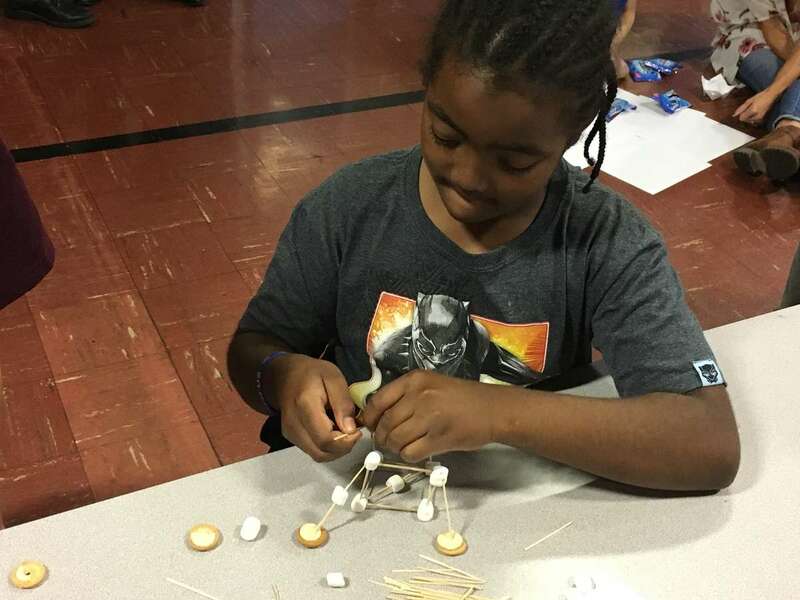 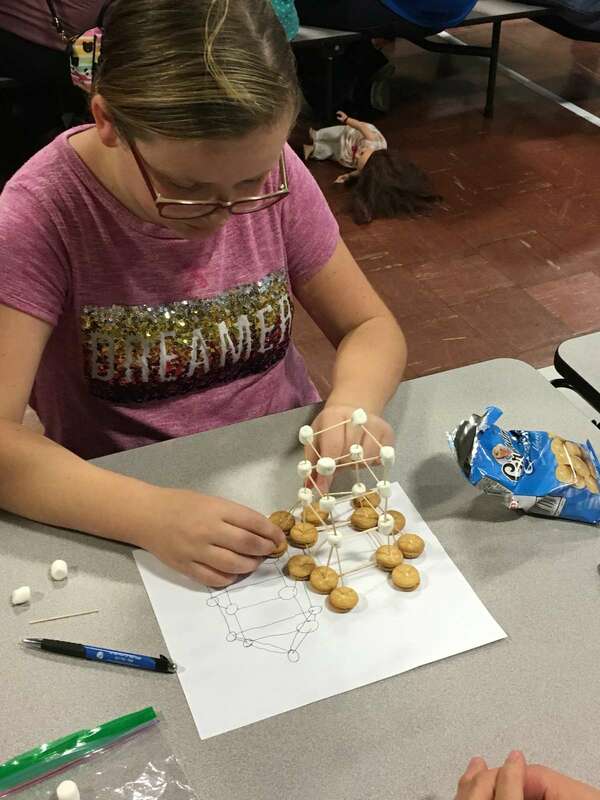 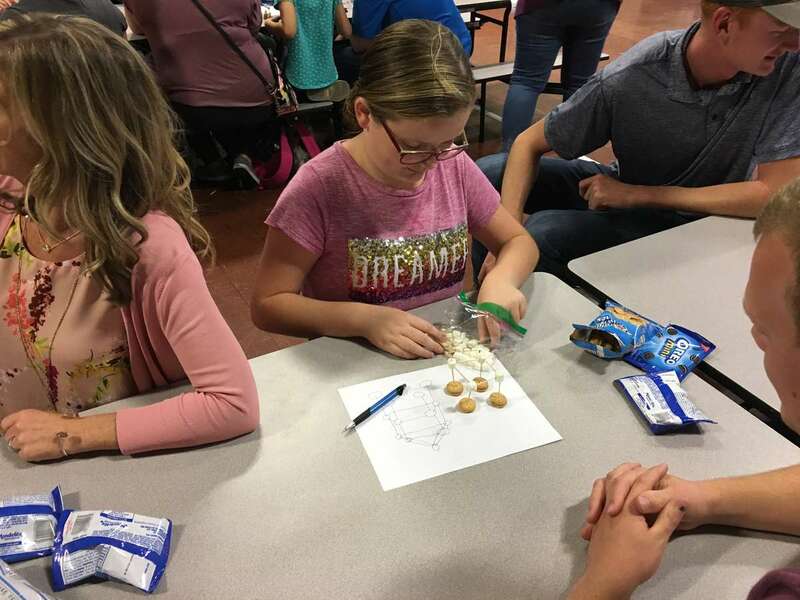 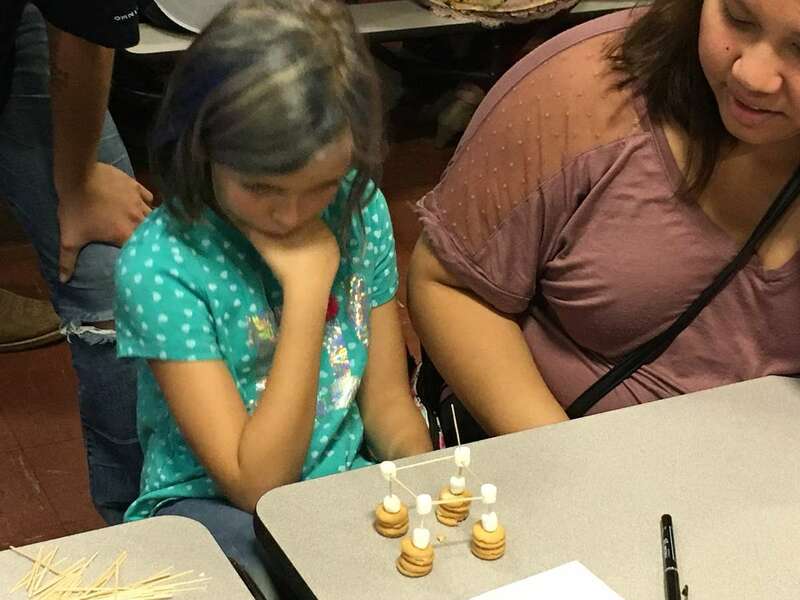 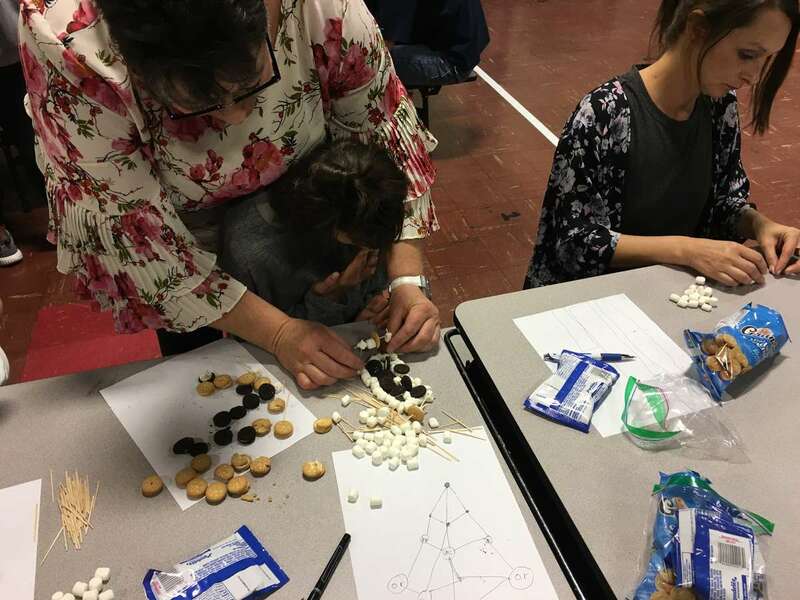 Students were asked to draw a tower, then create their tower using marshmallows, toothpicks and Oreo cookies. 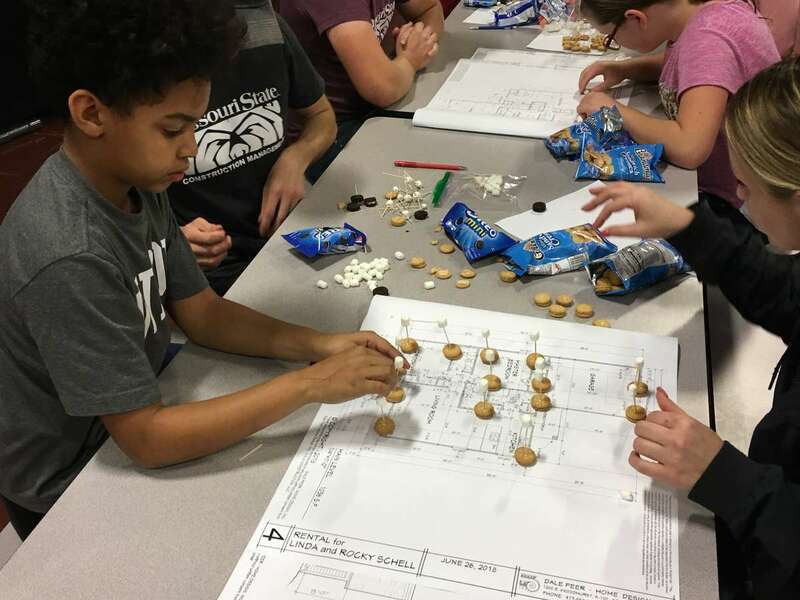 Their next assignment was to take a basic floor plan and use the same building materials to create a 3-d version of the house. 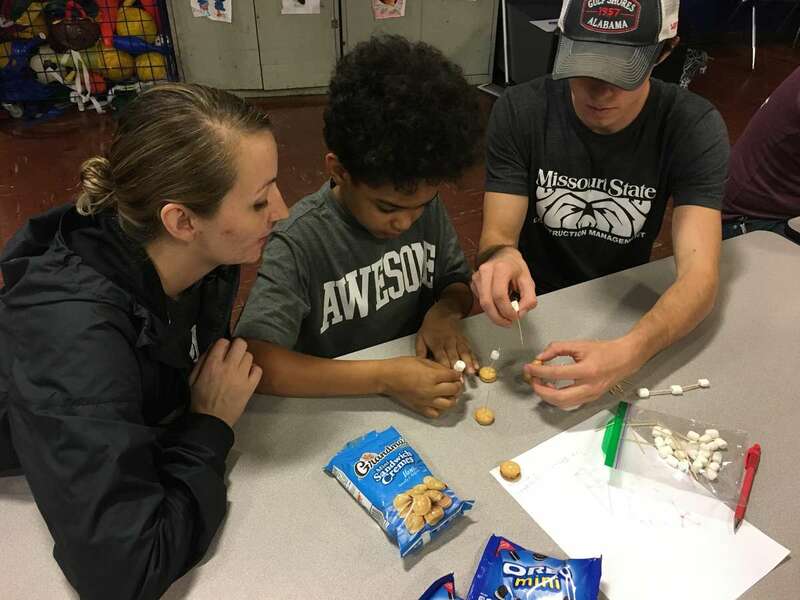 THANK YOU to Michelle Peak (Rise & Go), Dale Peer (Dale Peer Home Design Inc), Georgetta Lowery (Four Corners Development LLC), Travis and Lisa Miller (Travis Miller Homes), Riley Strickland (Monticello Custom Homes & Remodeling), Dr. Richard Gebken (Missouri State University) and the MSU Construction Club for all of your help! 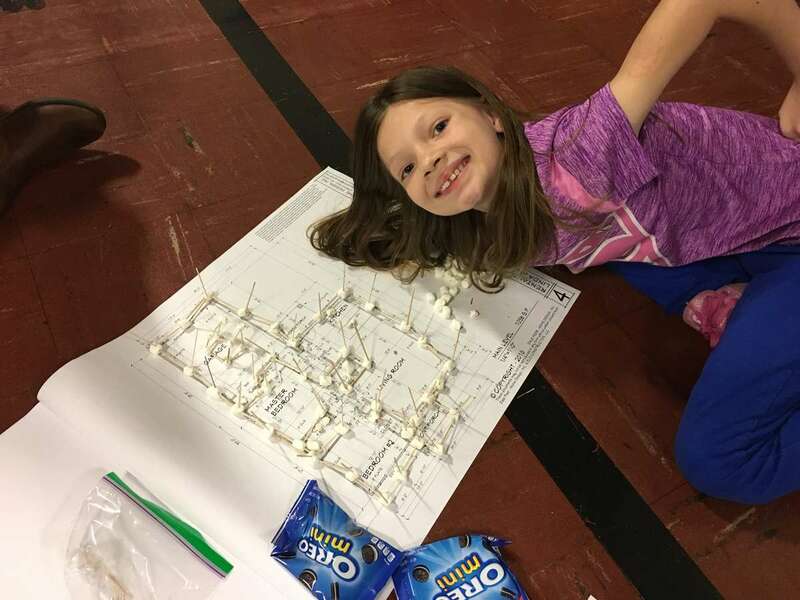 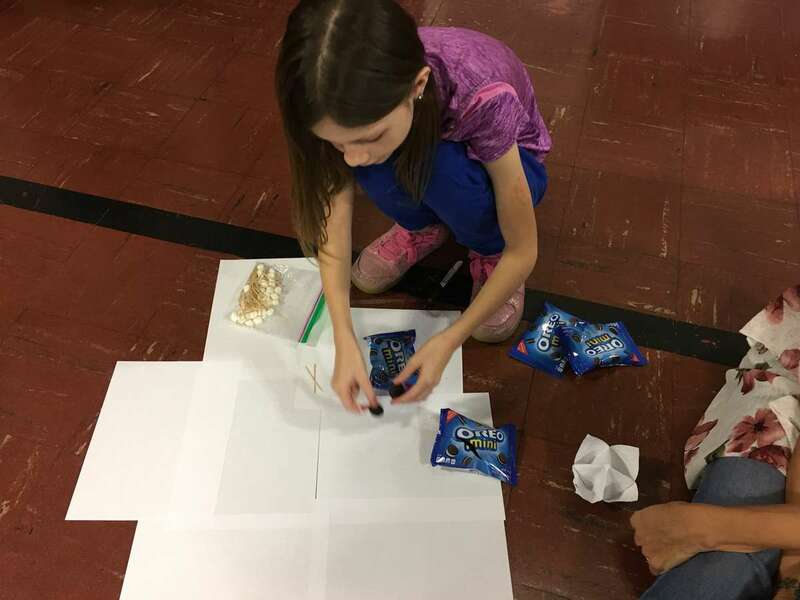 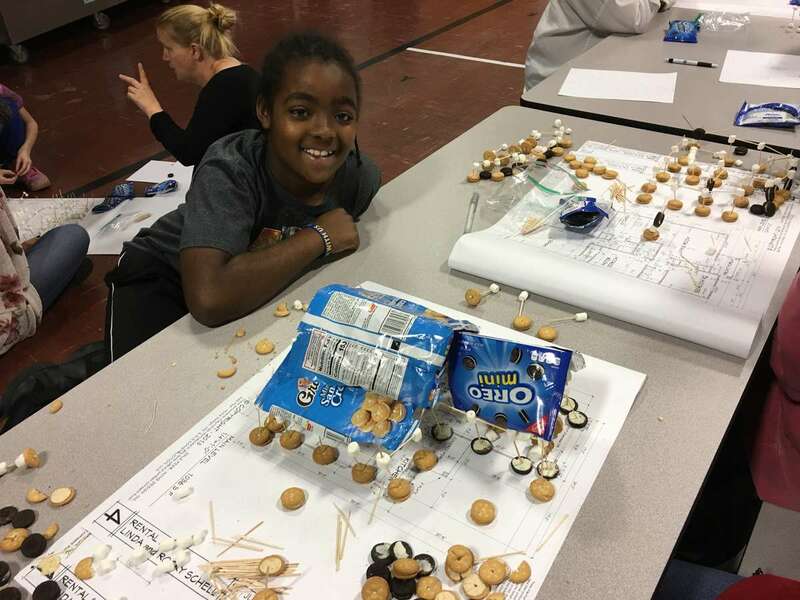 Next month we will focus on bridges – students will be asked to draw bridges, create bridges out of paper and then will have the opportunity to build a bridge that they can actually walk on! 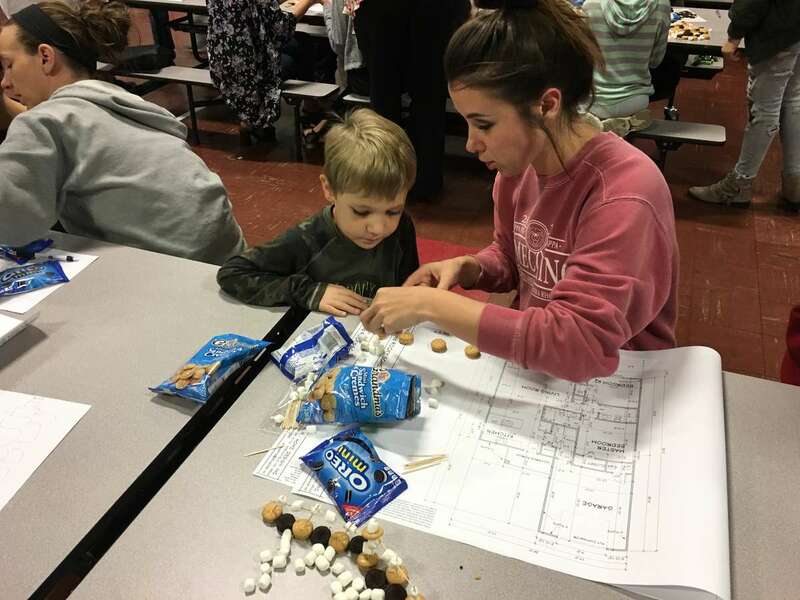 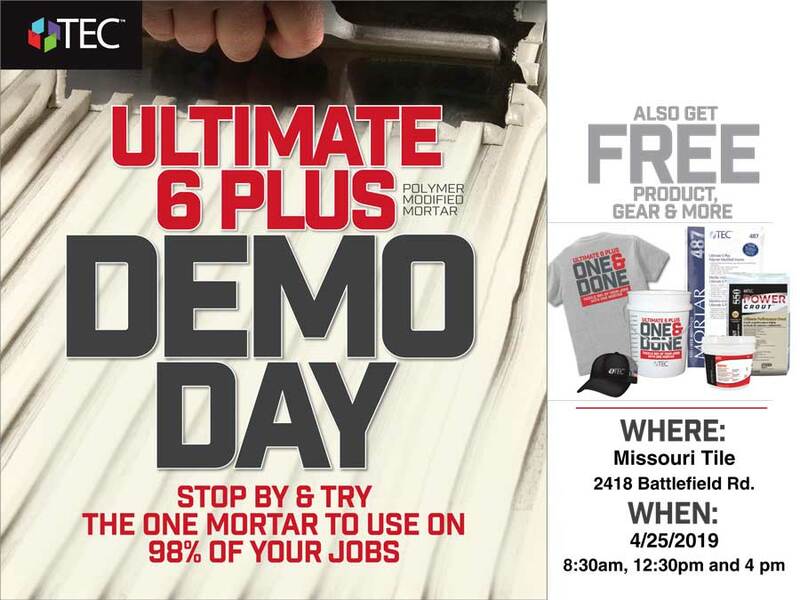 If you would like to volunteer to be a part of this workforce development program please contact Charlyce Ruth at the HBA office (417.881.3711 or Char@HBASpringfield.com).